Looking for Chlorine Free Pools in France? Countless of them belong to gyms or sport centers which also present lessons. Traveling to France? This is the appropriate spot on the web to locate places to swim in France. Every day you are not swimming you're losing precious time to improve your skills a be a better swimmer! No far more excuses!. Are you on holiday and want to preserve fit and healthful? 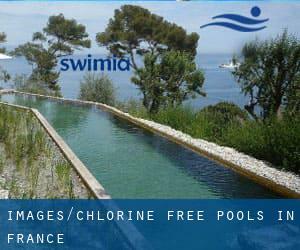 Swimia.com offers you the uncomplicated and quickest way to uncover pool near France. Not all countries are the very same, and swimming regulations and rules are changing from one country to an additional. Thanks to some new Pools submitted each day, Swimia.com is escalating everyday the number of stored pools. Please do not hesitate to contact us in the event you obtain any inaccurate or incomplete information. Please check the nearest Chlorine Free Pools in France or Contact us to ADD IT. It's totally free! Swimming is often a excellent idea to help keep your body active in the course of your visit to Marseille (France), or even if you are a local. Swimia assists you to locate your closest Pool in Marseille. Without a shadow of a doubt, swimming in Toulouse could be the finest way to unwind soon after function. 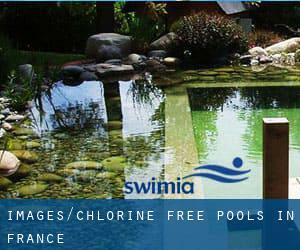 Take a couple of minutes to browse Swimia's catalog to find a Swimming Pool in Toulouse. It's difficult to visit France without dropping by Paris (with 2.138.551 residents). Presently Swimia is showing you all of the Pool in Paris along with the closest pools located in its vicinity. Let us tell you a secret to switch off whilst you are in Nantes: just choose a Swimming Pool in Nantes and plunge into the water! There's no additional productive method. Holding an estimated population of 472.317, Lyon is one of the most important cities in France. Check all of the Swimming Pool in Lyon and its surrounding area. Updated on 2019 67, rue Théodule Ribot , Saint Brieuc (Postal Code: 22000). Swimmers like you reported 25 meters x 10 meters, 4 lanes, 0.8 meters - 2 meters depth, 0.8 meters - 2 meters depth, Non-Chlorine Sanitized, Indoors. Unfortunately we do not have the email address of this Swimming Pool, but we can give you the phone number. 77 Rue Michelfelden , Village Neuf (Postal Code: 68128). This great and large sports center lets professional swimmers like you enjoy 25 meters x 21 meters, 8 lanes, Non-Chlorine Sanitized, Indoors. Additionally, within these facilities you can try 25 meters x 10 meters, Non-Chlorine Sanitized, Indoors. Unfortunately we do not have the e-mail address of this Swimming Pool, but we can give you the phone number. Plage du Coz Pors , Tregastel (Postal Code: 22730). Among all of the activities provided by the center, if you are thinking about swimming you will appreciate 25 meters, 1.1 meters - 1.6 meters depth, 1.1 meters - 1.6 meters depth, Non-Chlorine Sanitized, Indoors. Just in case you need to contact this Pool prior to dropping by, we only know the phone number. Bois Chievre , Route de Vouvray , Bonneval (Postal Code: 28800). Swimmers like you reported 25 meters x 10 meters, 4 lanes, 0.8 meters - 2 meters depth, 0.8 meters - 2 meters depth, Non-Chlorine Sanitized, Indoors. Phone number and email address are number for this Pool. 12 rue Bombard , Dijon (Postal Code: 21000). Few days ago a typical user of this center told us they offer Olympic size x 25 meters, 10 lanes, Non-Chlorine Sanitized, Indoors. Furthermore, they keep in good conditions 25 meters x 10 meters, 4 lanes, Indoors. Contact information for this Pool for instance phone number and email address are number. Forum des Halles, 10 place de la Rotonde , 1st Arrondissement , Paris (Postal Code: 75001). Among all of the activities offered by the center, if you're interested in swimming you will appreciate Olympic size x 20 meters, 8 lanes, 0.8 meters - 1.8 meters depth, 0.8 meters - 1.8 meters depth, Non-Chlorine Sanitized, Indoors. If you should make contact with this Swimming Pool, e-mail address and phone number are both number. 31, rue du Geisbourg , Kaysersberg (Postal Code: 68240). Among all of the activities offered by the center, for anybody who is keen on swimming you might enjoy 25 meters x 10 meters, 4 lanes, 0.9 meters - 2 meters depth, 0.9 meters - 2 meters depth, Non-Chlorine Sanitized, Indoors. Just in case you want to get in touch with this Swimming Pool before dropping by, we only know the phone number. Updated on 2019 Quai Blanqui , Alfortville (Postal Code: 94140). This sports center delivers 25 meters, 6 lanes, Non-Chlorine Sanitized, Indoors. Contact info for this Swimming Pool such as phone number and e-mail address are number. 12 Rue Larmeroux , Vanves (Postal Code: 92170). Swimmers like you reported 25 meters x 15 meters, 6 lanes, Non-Chlorine Sanitized, Indoors. Unfortunately we do not have the email address of this Pool, but we can give you the phone number. 2, boulevard du Président Wilson , Digue de l´Ecluse , Dinard (Postal Code: 35800). Among all of the activities offered by the center, if you are enthusiastic about swimming you'll take pleasure in Olympic size x 17.5 meters, 7 lanes, 0.7 meters - 4 meters depth, 0.7 meters - 4 meters depth, Non-Chlorine Sanitized, Indoors. If you will need to contact this Swimming Pool, e-mail address and phone number are both number. 32 rue Edouard Pailleron , 19th Arrondissement , Paris (Postal Code: 75019). Among all the activities offered by the center, for anyone who is thinking about swimming you can enjoy 33 meters x 15 meters, 6 lanes, 0.9 meters - 2.5 meters depth, 0.9 meters - 2.5 meters depth, Non-Chlorine Sanitized, Indoors. If you have to make contact with this Swimming Pool, email address and phone number are both number. 40 Rue de la Croix , Herlies (Postal Code: 59134). Swimmers like you reported 25 meters x 15 meters, 6 lanes, Non-Chlorine Sanitized, Indoors. Phone number and e-mail address are number for this Pool.